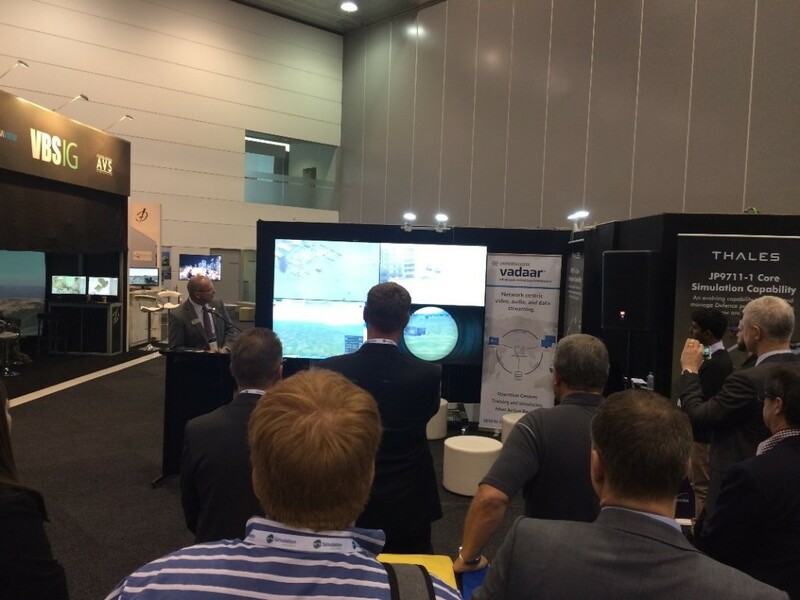 ImmersaView recently attended the Australasian Simulation Congress (formerly SimTecT) to highlight the latest developments of VADAAR and SimVisuals. A focal part of this year’s show was the Distributed Mission Training (DMT) precinct which ran an LVC event called Exercise Virtual Pacific. The DMT precinct was set-up to explore the rapid developments and the increased potential for Live, Virtual and Constructive capabilities in revolutionising training, education and testing across the defence and security sectors. ImmersaView provided a video display wall and VADAAR, our video, audio and data software on the EXCON booth to make the DMT a huge success. As a part of this event, we worked with a number of partners and had our software installed on booths including Calytrix Technologies, BAE System, Bohemia Interactive Simulations, CAE Australia, Elbit Systems, PLEXSYS, Rockwell Collins, SimCentric and YTEK. All the vision from the DMT participants was brought to the video wall via ImmersaView’s display streaming capabilities at EXCON. VADAAR helped bring DMT together by providing context for participants and observers. VADAAR provides the capability to observe participant systems during an exercise, despite being geographically separated, through VADAAR’s video, audio and data streaming framework. Importantly, all of this can be simultaneously recorded, allowing for during and after action review. The VADAAR Sender software is installed at each source on the remote booths, making them available over the network. The Viewer software displays these sources from the network, whether on a large display wall or in a window on an instrument panel. Through capturing the display exactly as it appears, you can reply on VADAAR in every scenario, no matter the software or terrain in use. ImmersaView also provided a 5 meter diameter, 180 degree FOV dome screen to our partner Bohemia Interactive Simulations. Bohemia demonstrated to attendees the ability to observe a highly complex and operationally realistic application of joint fires effects within a scenario comprising both conventional and insurgent combatants, near of non-combatants. 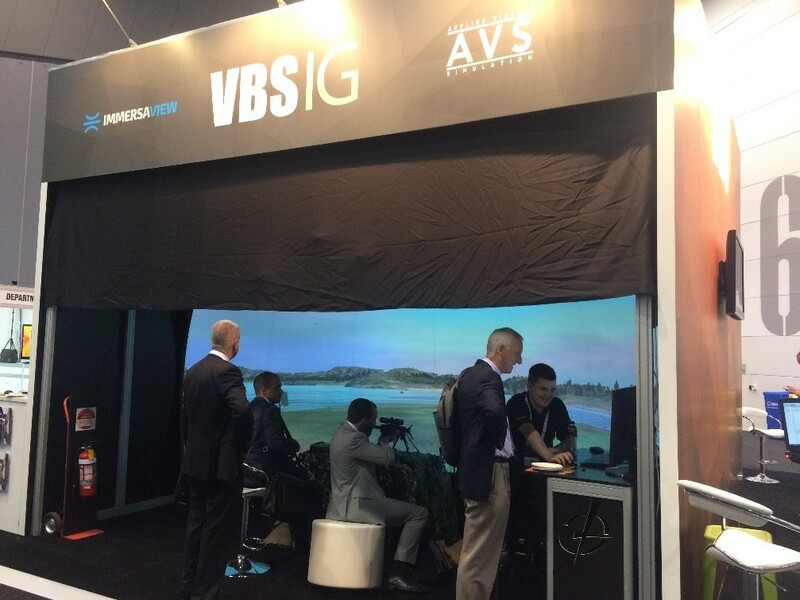 Working seamlessly with VBS IG, ImmersaView’s SimVisuals software provided a seamless immersive display.